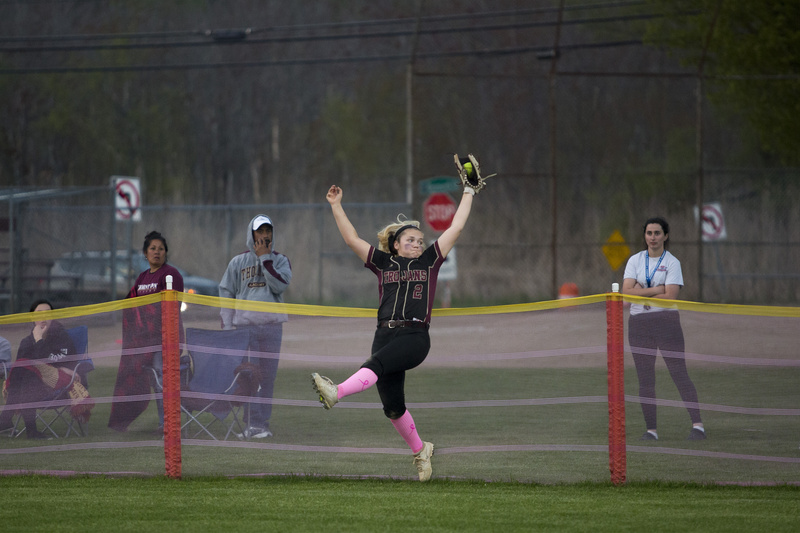 Thornton Academy's Olivia Paradis robs Scarborough of a homer, catching a ball before it goes over the fence in the third inning of Thursday's game. 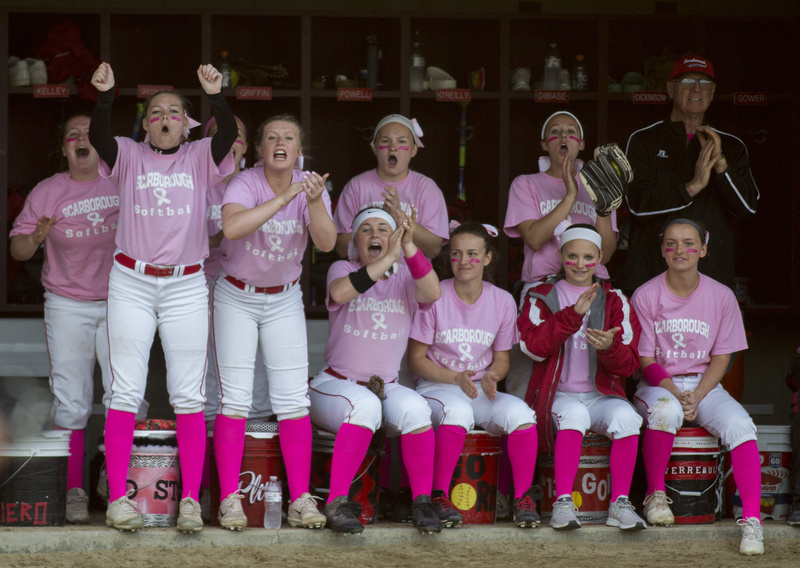 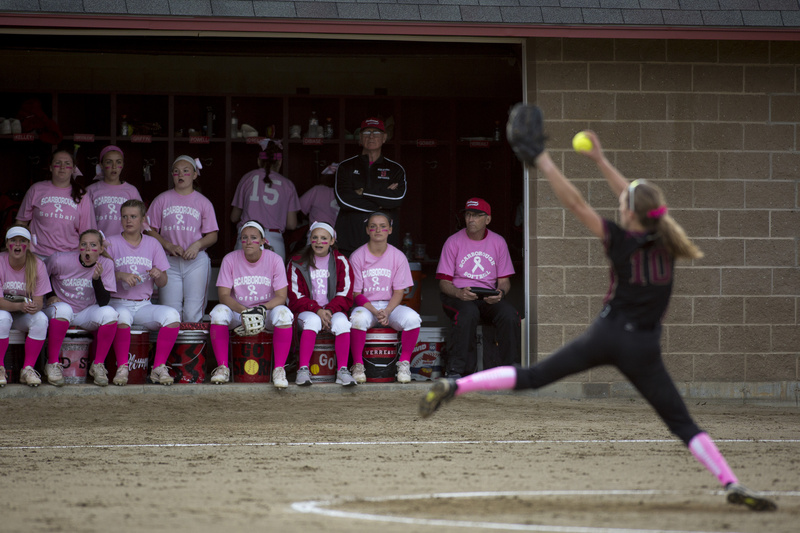 Scarborough players cheer their teammates during a rally in Thursday's game. 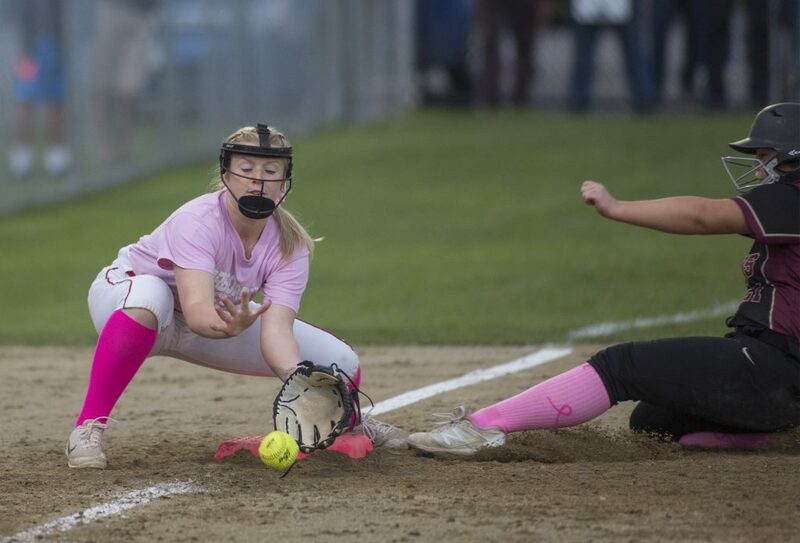 Scarborough's Chloe Griffin slides safely into second base as Thornton Academy's Olivia Howe is too late with the tag. 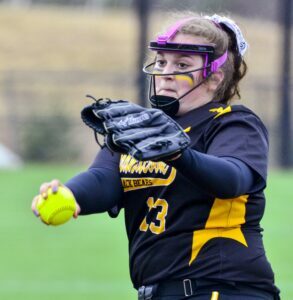 Thornton Academy's Kaitlin Verreault delivers a pitch. 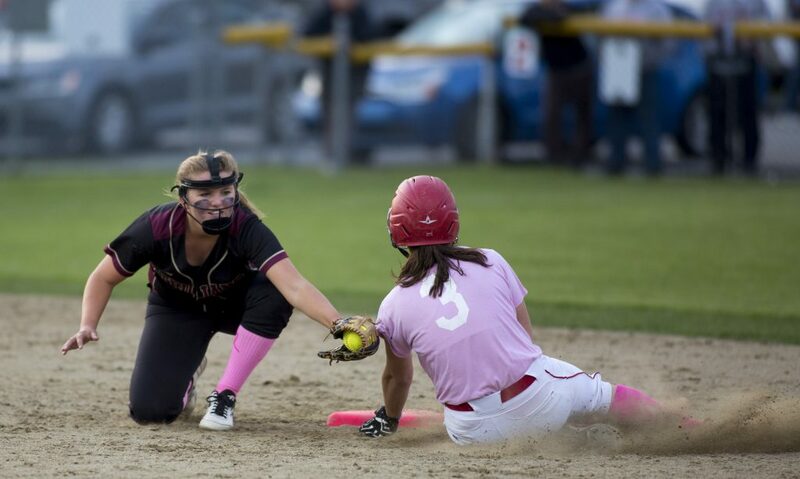 Thornton Academy Madison Vachon slides safely into third base before Scarborough's Emily Jefferds can get the ball.